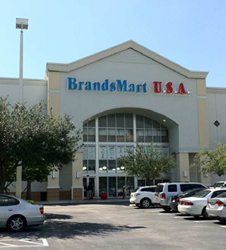 Founded in 1977 by Robert Pearlman in Miami, Florida, BrandsMart USA, one of the leading Consumer Electronics and Appliance Retailers in the Southeast and one of the largest Appliance Retailers in the country, including 10 retail stores in South Florida and the Atlanta area, offers top name brands at low prices. It is one of the largest volume-per-store retailers in the United States. Each store stocks a very large selection of televisions, large and small appliances, audio, video and home theater equipment, exercise equipment, car stereo components, tablets and computers, cellular telephones, furniture, and accessories. BrandsMart also services the products it sells through its own service operation, headed by Cosmo Adamo, VP, Service, from its Hollywood headquarters. 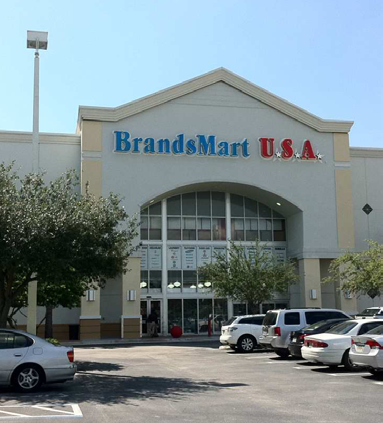 A field-force of more than 75+ field-based repair technicians, as well as installation teams and a fleet of trucks, service not only products purchased at BrandsMart USA, but items from other retailers as well.